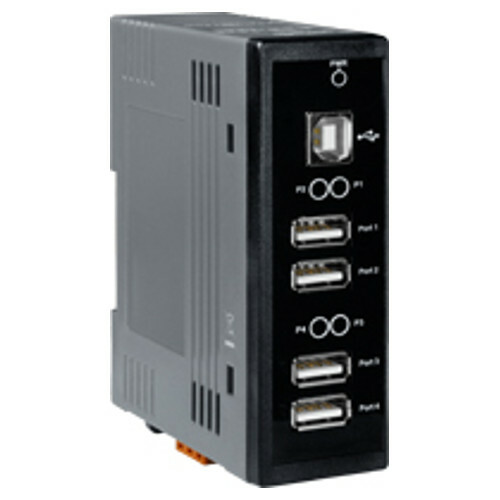 USB-2560 allows you to add multiple high performance USB 2.0 peripheral devices to your computer (Or XP-8000 series). It supports USB 2.0 high-speed mode and can achieve a 480 Mbps data transmission rate. USB-2560 only supports self-powered mode (drawing power from an external power supply). Externally powered USB hubs guarantee the broadest compatibility for USB devices. 0.25 A @ 24 VDC for 250mA per port. 0.5 A @ 24 VDC for 500mA per port.